From their imposing size to the dark, intelligent eyes, German Shepherds are one of the most recognizable dog breeds for the last century. A versatile, athletic, and fearless dog, the Shepherd is the work dog’s work dog. It takes some dedication raising a German Shepherd, but if you have the time and energy, you will have a loving companion who will be there for you and your family (including the cat) for life. The German Shepherd’s roots trace back to 19th century Germany, where a member of the police force wanted to develop a dog that could be used for both military and police work. The result was the German Shepherd. During WWI the breed fell out of favor in the US due to them being used by the enemy, but these dogs braved artillery fire, land mines, and tanks to supply German troops in the trenches with food and other necessity. Today, the German Shepherd is quickly becoming one of the popular dogs again, right behind the Labrador Retriever. The German Shepherd is a very active dog, they will not be satisfied with being a couch potato. This dog requires multiple walks a day and training to keep their active minds sated. Whether this is through learning different tricks or giving them a job, make sure your GSD (German Shepherd) has something to do. If you ignore them, those constructive impulses can quickly turn to destructive impulses. German Shepherds are smart, active dogs who do best with active owners who are able to give them attention, exercise, and training. In other words, lots of one-on-one time as these dogs are extremely intelligent and trainable. However, make sure that you can show that you are the dominant male in the house to the dog, GSDs do not suffer fools lightly, and will take advantage of their owner to a fault if they know they can get away with it. While all dogs have the potential for genetic health problems, German Shepherds are not only known for their beauty and intelligence, sadly, they are also known for their possible health problems, specifically hip dysplasia. When a dog has hip dysplasia, the head of the thigh bone does not sit properly in the hip socket and over time, will wear down the bone, which will eventually cause arthritis in the dog. 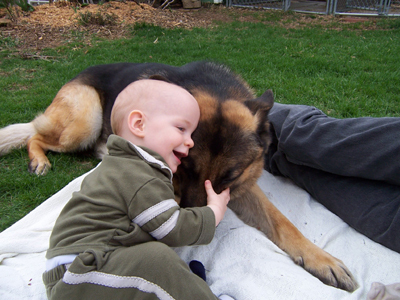 Another unfortunate disease that can affect German Shepherds is degenerative myelopathy. Similar to MS in humans, DM is a slow, terrible paralysis of the dogs hindquarters, and will eventually prevent the dog from being able to move on their own. 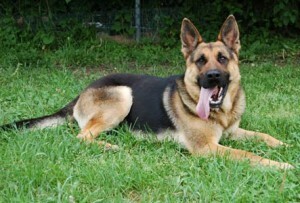 However, you can minimize the chances that your GSD can get these diseases. Regular exercise and vitamins, along with a healthy diet can help to minimize the chances of your Shepherd from getting Hip Dysplasia and can lower the chance that they develop DM later in their life. Finally, don’t forget to love your dog. This breed is extremely loving and needs it back. 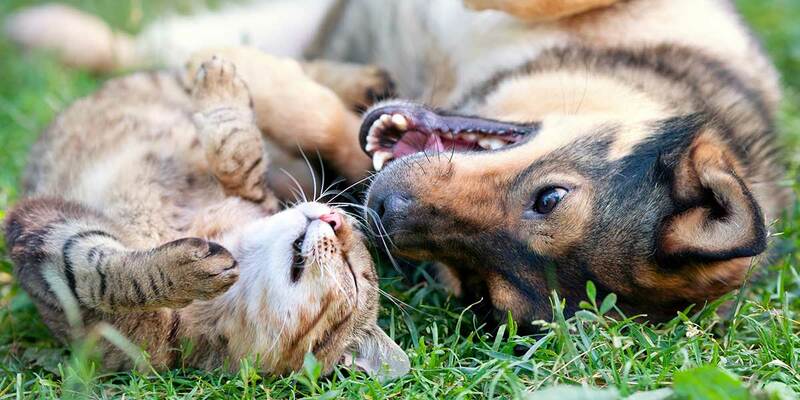 Cuddle and play with your dog daily. In the end, you’ll have a warm, loving, and loyal companion for you and your family.